Bethesda takes schadenfreude to new heights (or lows), failing to satisfy with its MMORPG. In the age of attention economy it’s easy to throw around a phrase like “all press is good press,” but for Bethesda and Fallout 76 more ink is probably the last thing they want right now. Absolutely riddled with errors and glitches, things the community hitherto accepted as Bethesda’s endearing imperfections, Fallout 76 seems to be hitting all the wrong notes. With an undeniably rocky start to the beta, some players were annoyed to find that they were unable to uninstall said beta via launcher, as they technically did not own or have access to the game. Nonetheless, even after its official release on November 14, the game has gotten roasted over and over again for failing to properly translate into an always-online environment. In an apologetic response, Bethesda reached out to their community on Reddit, detailing in good faith upcoming fixes and ongoing communication. Bethesda’s official post comes amidst talk of class action litigation, citing a 56GB day one patch and the “no refunds” nature of gaming (both of which have been industry standard for a fair bit now). In spite of all this, however, there’s more. Published yesterday and hitting the tides early this morning is a combination of customer support and hilariously liberal advertising that can only be described as kind of a bummer. Those that purchased the game’s “Power Armor” edition, which depicted a canvas bag in the original advert, received one made of nylon instead. Certainly not the end of the world, but ringing in at 200$ USD one might expect to get what they paid for. Responding to a customer via email, Bethesda wrote “We are sorry that you aren’t happy with the bag. The bag shown in the media was a prototype and was too expensive to make. We aren’t planning on doing anything about it.” The email in question, embedded below, was then verified as legitimate roughly an hour ago by a moderator of the pcgaming subreddit. 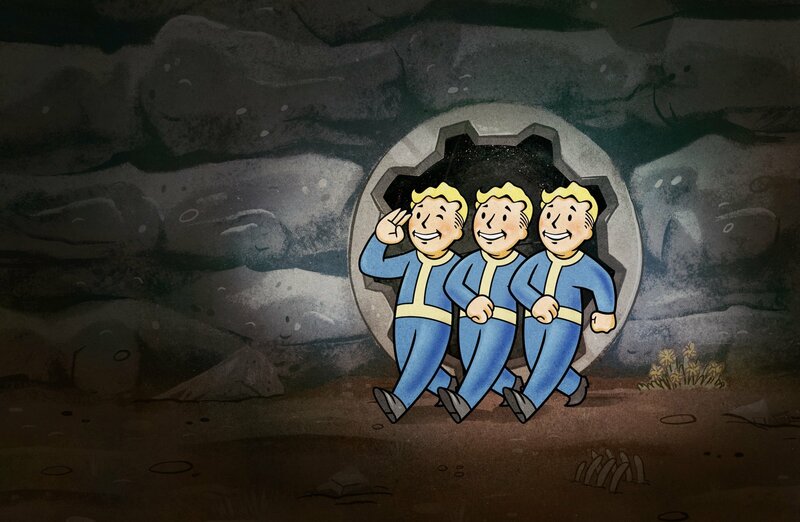 With Q4 well underway, and Fallout 76 already having seen some discounted price slashing, Bethesda certainly seems to have their work cut out for them. If all this gamer rage has you feeling groggy and over-encumbered, you can always unwind with the dulcet, sultry tones of our boys’ Goners podcast. Editor’s Note: On November 28, Bethesda acknowledged the disappointment regarding the pre-order bag and is offering 500 atoms (in game currency) to those who present valid proof of purchase for the collector’s edition. For reference, 500 atoms is worth roughly 5$ USD. Those affected can find official memorandum regarding the gratis atoms here.